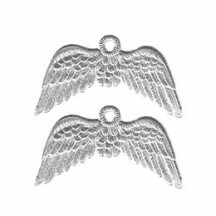 Sheet of 10 ornate Dresden angel wings, each measuring 2" x 1". Gold foil on both sides. Made in Germany. 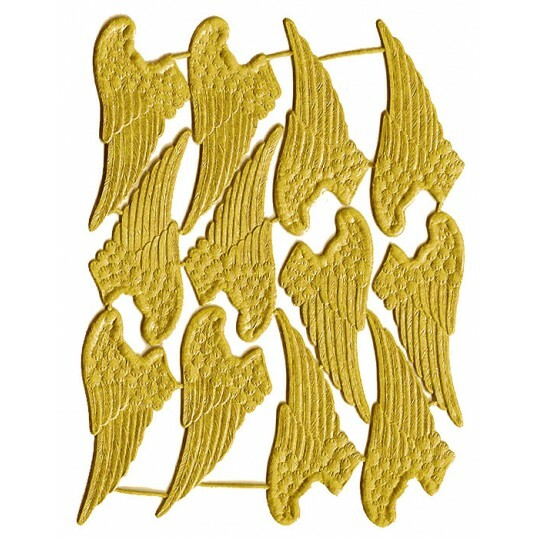 Sheet of 10 ornate Dresden angel wings, each measuring 2" x 1". Silver foil on both sides. Made in Germany. 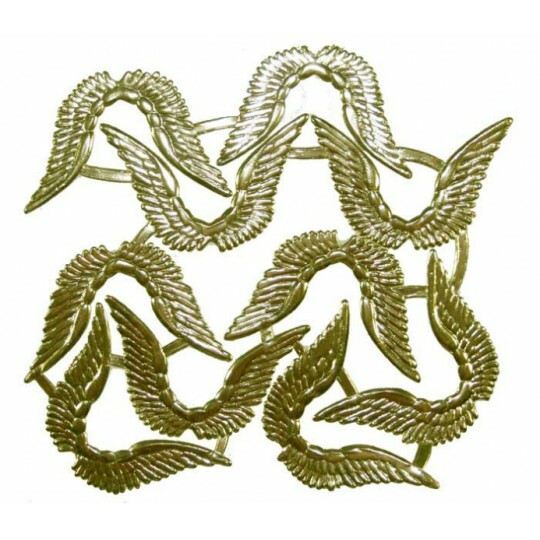 Sheet of 8 ornate Dresden angel wings, each measuring 2 1/2" x 1 1/2". Gold foil on both sides. Made in Germany. 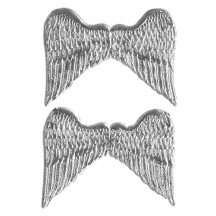 Sheet of 8 ornate Dresden angel wings, each measuring 2 1/2" x 1 1/2". Silver foil on both sides. Made in Germany. Sheet of 12 Dresden wings that match up to make 6 pairs of complete wings. 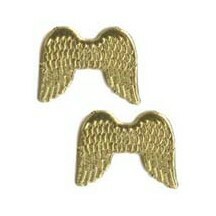 Each wing measures 2 1/4" long by 1" wide. Burgundy foil on both sides. Made in Germany. 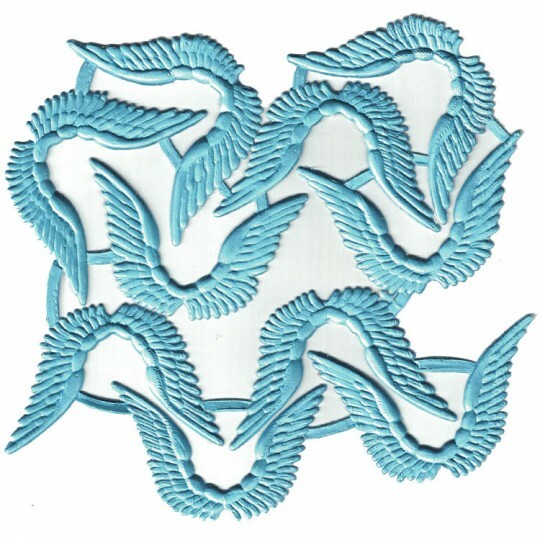 Sheet of 12 Dresden wings that match up to make 6 pairs of complete wings. 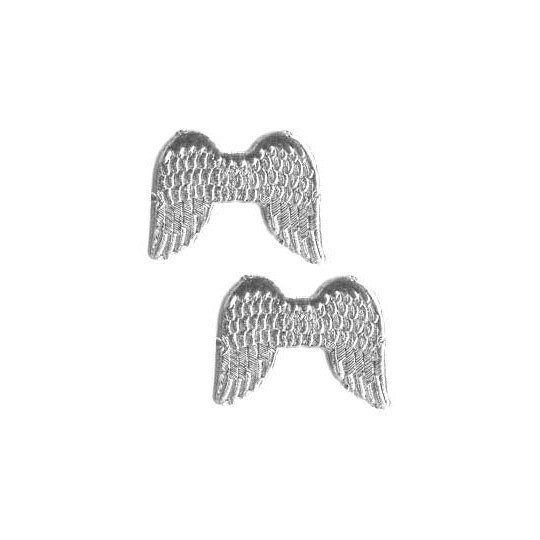 Each wing measures 2 1/4" long by 1" wide. Gold foil on both sides. Made in Germany. 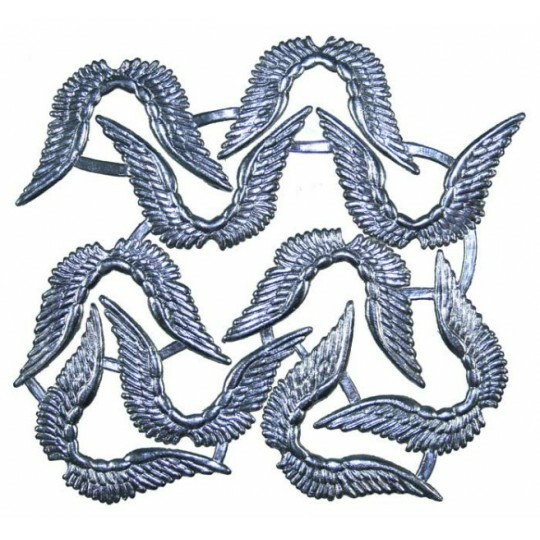 Sheet of 12 Dresden wings that match up to make 6 pairs of complete wings. 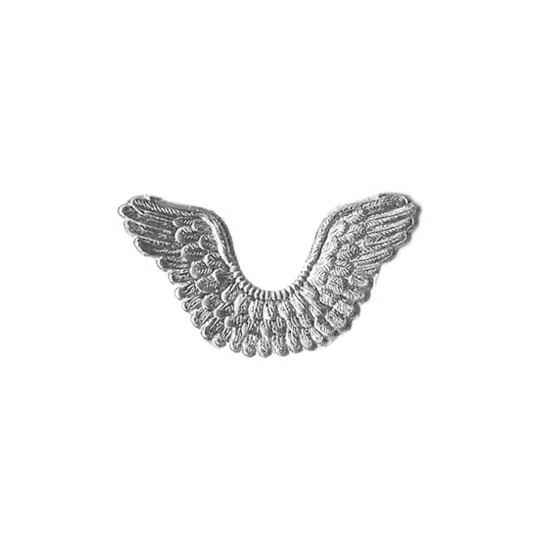 Each wing measures 2 1/4" long by 1" wide. Light blue foil on both sides. Made in Germany. Sheet of 12 Dresden wings that match up to make 6 pairs of complete wings. 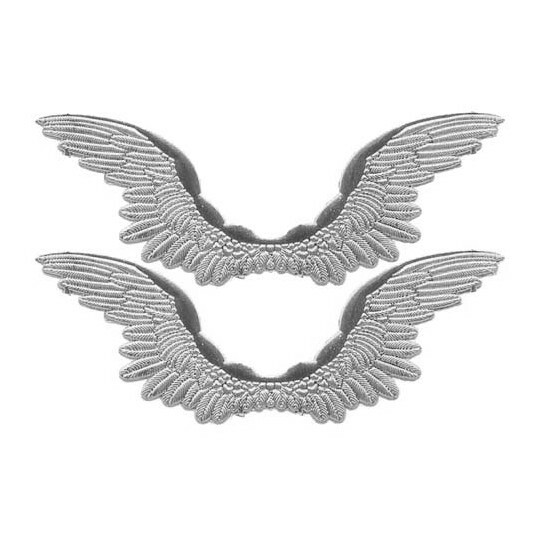 Each wing measures 2 1/4" long by 1" wide. Silver foil on both sides. Made in Germany. Sheet of 24 Dresden wings that match up to make 12 pairs of complete wings. 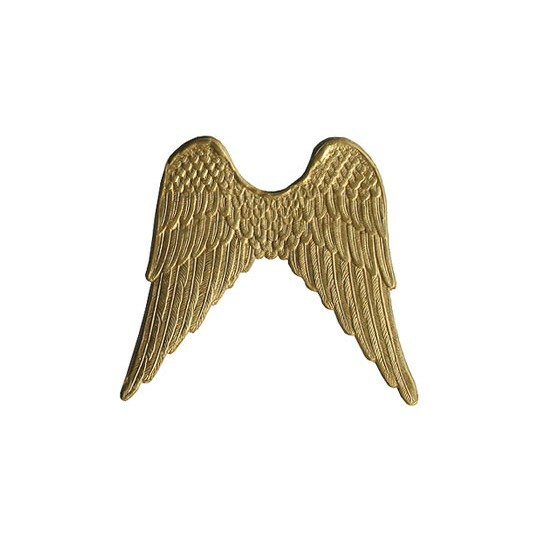 Each wing measures 1-1/4" long by 1/2" wide. Gold foil on both sides. Made in Germany. 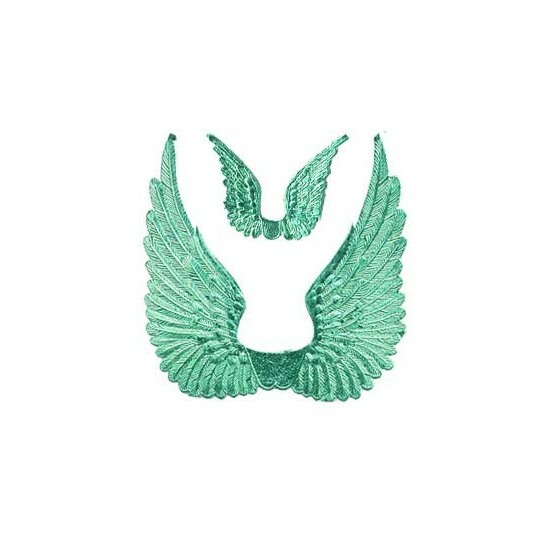 Sheet of 24 Dresden wings that match up to make 12 pairs of complete wings. 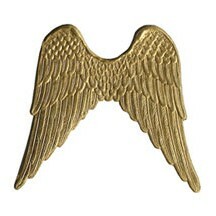 Each wing measures 1-1/4" long by 1/2" wide. Silver foil on both sides. Made in Germany. 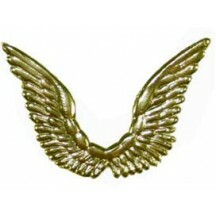 Sheet of 24 Dresden wings, each measuring 1 1/4" x 1". Gold foil on both sides. Made in Germany. Sheet of 24 Dresden wings, each measuring 1 1/4" x 1". Silver foil on both sides. Made in Germany. 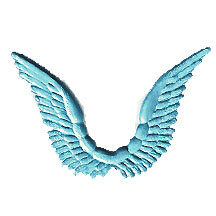 Sheet of 24 Dresden wings, each measuring 1 1/4" x 1". 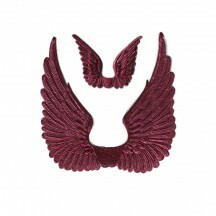 Burgundy foil on both sides. Made in Germany. 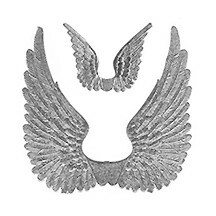 Sheet of 24 Dresden wings, each measuring 1 1/4" x 1". Light blue foil on both sides. Made in Germany. 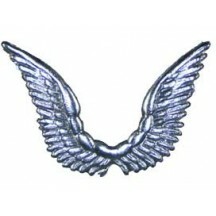 Sheet of 24 Dresden wings, each measuring 1 1/4" x 1". Light pink foil on both sides. Made in Germany. 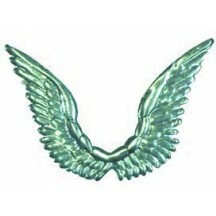 Sheet of 12 Dresden wings, each measuring 1-1/2" wide x 7/8" high. Gold foil on both sides. Made in Germany. 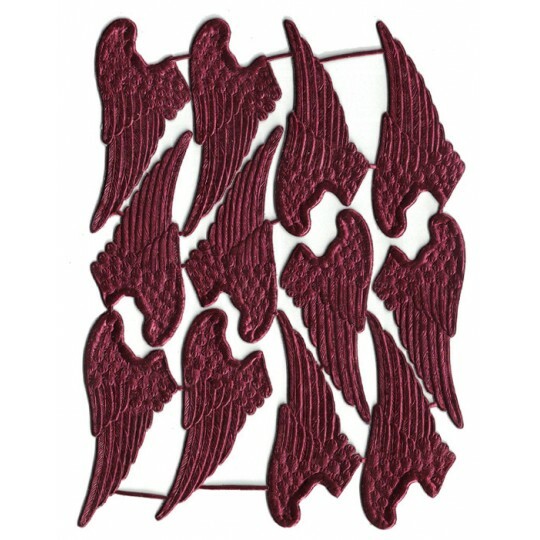 Sheet of 12 Dresden wings, each measuring 1-1/2" wide x 7/8" high. 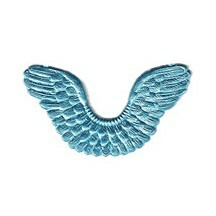 Light blue foil on both sides. Made in Germany. Sheet of 12 Dresden wings, each measuring 1-1/2" wide x 7/8" high. Silver foil on both sides. Made in Germany. Sheet of 12 Dresden wings, each measuring 1 1/8" x 3/4". Gold foil on both sides. Made in Germany. 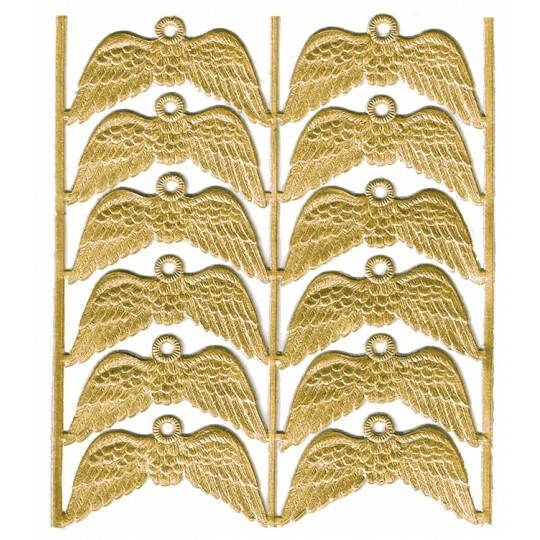 Sheet of 12 Dresden wings, each measuring 1 1/8" x 3/4". 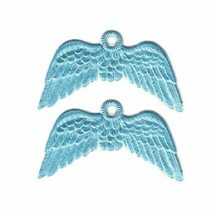 Light blue foil on both sides. Made in Germany. Sheet of 12 Dresden wings, each measuring 1 1/8" x 3/4". Silver foil on both sides. Made in Germany. Sheet of 10 Dresden wings, each measuring 1-1/4" wide by 1" tall. Gold foil on both sides. Made in Germany. Sheet of 10 Dresden wings, each measuring 1-1/4" wide by 1" tall. Pink foil on both sides. Made in Germany. 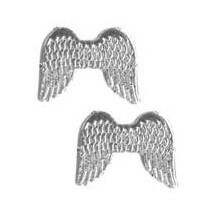 Sheet of 10 Dresden wings, each measuring 1-1/4" wide by 1" tall. Silver foil on both sides. Made in Germany. 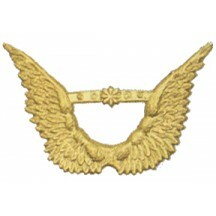 Sheet of 7 Dresden wings, each measuring 2 1/4" x 1 1/8". Gold foil on both sides. Made in Germany. 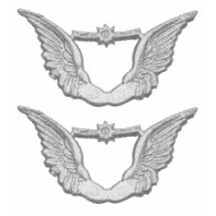 Sheet of 7 Dresden wings, each measuring 2 1/4" x 1 1/8". Light blue foil on both sides. Made in Germany. Sheet of 7 Dresden wings, each measuring 2 1/4" x 1 1/8". Silver foil on both sides. Made in Germany. 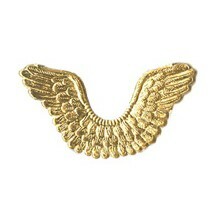 Sheet of 6 Dresden wings, each measuring 2" wide by 1 1/2" tall. Gold foil on both sides. Made in Germany. 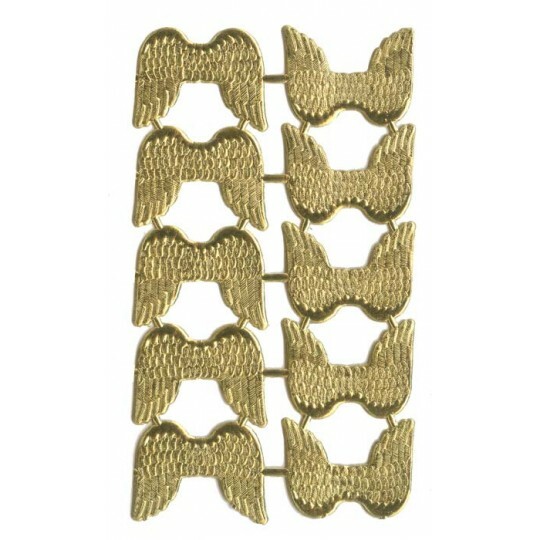 Sheet of 6 Dresden wings, each measuring 2" wide by 1 1/2" tall. Silver foil on both sides. Made in Germany. 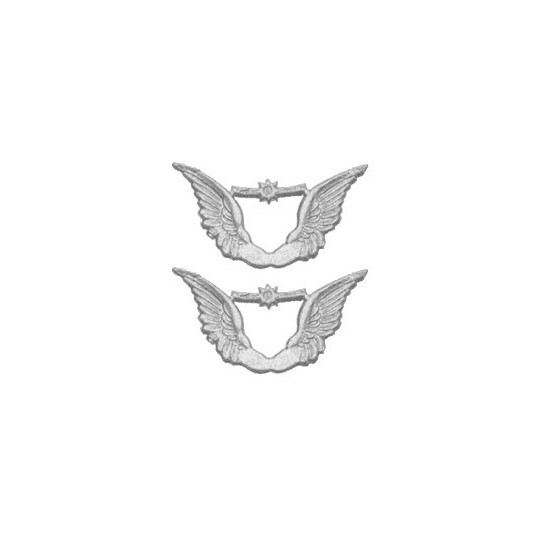 Sheet of 8 Dresden swan wings, includes 2 measuring 1 1/8" by 1 3/8" and 6 measuring 2 1/2" x 2 1/2". Gold foil on both sides. Made in Germany. 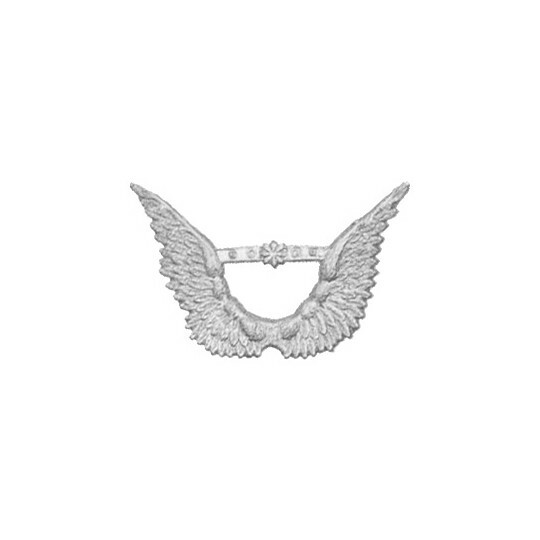 Sheet of 8 Dresden swan wings, includes 2 measuring 1 1/8" by 1 3/8" and 6 measuring 2 1/2" x 2 1/2". Silver foil on both sides. Made in Germany. Sheet of 8 Dresden swan wings, includes 2 measuring 1 1/8" by 1 3/8" and 6 measuring 2 1/2" x 2 1/2". Aqua foil on both sides. Made in Germany. 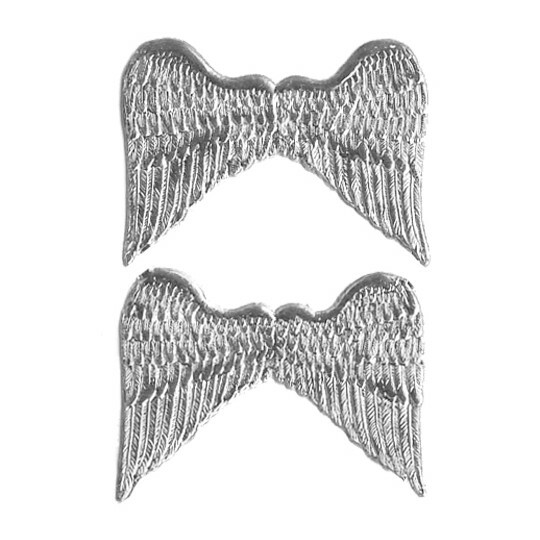 Sheet of 8 Dresden swan wings, includes 2 measuring 1 1/8" by 1 3/8" and 6 measuring 2 1/2" x 2 1/2". Glossy black on the front, matte black on the reverse. Made in Germany. Sheet of 8 Dresden swan wings, includes 2 measuring 1 1/8" by 1 3/8" and 6 measuring 2 1/2" x 2 1/2". 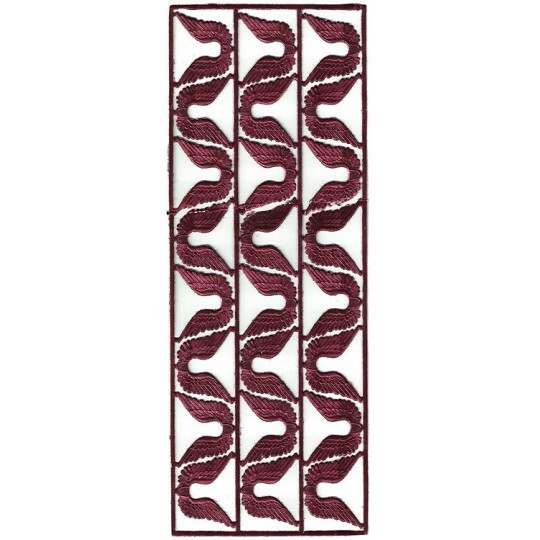 Burgundy foil on both sides. Made in Germany. 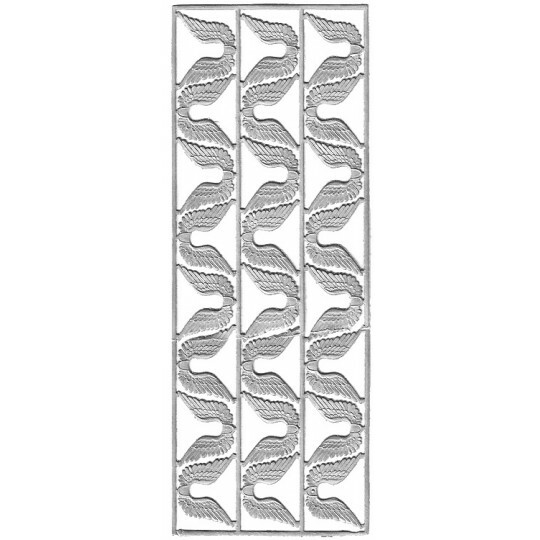 Sheet of 8 Dresden swan wings, includes 2 measuring 1 1/8" by 1 3/8" and 6 measuring 2 1/2" x 2 1/2". 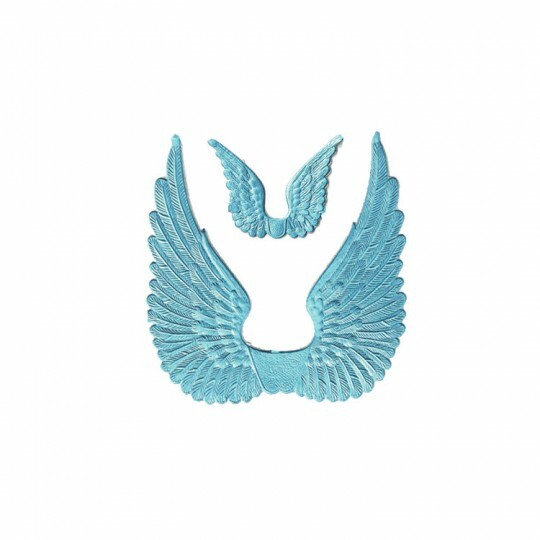 Light blue foil on both sides. Made in Germany. Sheet of 8 Dresden swan wings, includes 2 measuring 1 1/8" by 1 3/8" and 6 measuring 2 1/2" x 2 1/2". Pink foil on both sides. Made in Germany. 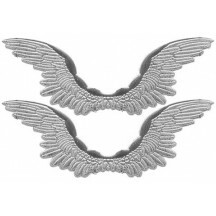 This sheet has 6 large Dresden wings each measuring 4 1/2" wide x 1 5/8" tall. Gold foil on both sides. Made in Germany. This sheet has 6 large Dresden wings each measuring 4 1/2" wide x 1 5/8" tall. Silver foil on both sides. Made in Germany. 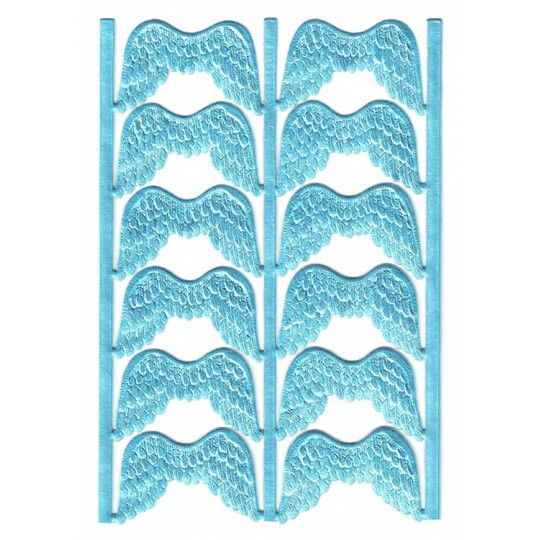 This sheet has 6 large Dresden wings each measuring 4 1/2" wide x 1 5/8" tall. Aqua foil on both sides. Made in Germany. 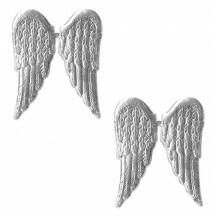 This sheet has 6 large Dresden wings each measuring 4 1/2" wide x 1 5/8" tall. 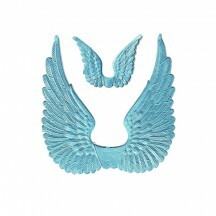 Light blue foil on both sides. Made in Germany. 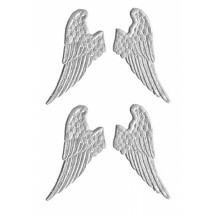 This sheet has 6 large Dresden wings each measuring 4 1/2" wide x 1 5/8" tall. Pink foil on both sides. Made in Germany. Sheet of large Dresden wings, each measuring 2-3/4" wide at the top by 2" tall. Aqua foil on both sides. Beautiful detail to the embossing. Made in Germany. 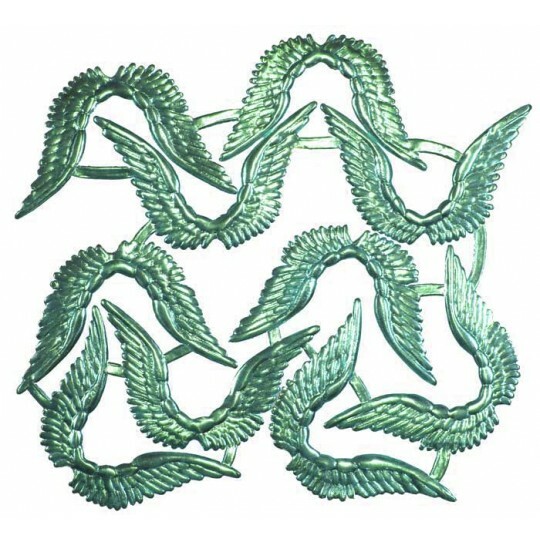 Sheet of large Dresden wings, each measuring 2-3/4" wide at the top by 2" tall. 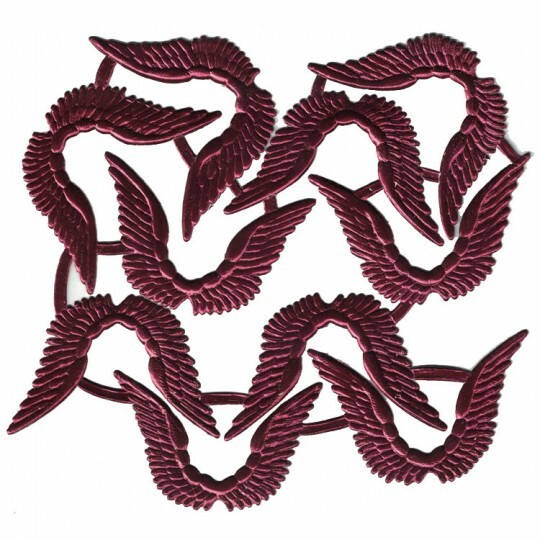 Burgundy foil on both sides. Beautiful detail to the embossing. Made in Germany. 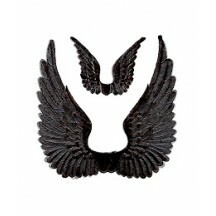 Sheet of large Dresden wings, each measuring 2-3/4" wide at the top by 2" tall. Shiny and rich gold foil on both sides. Beautiful detail to the embossing. Made in Germany. 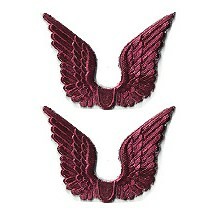 Sheet of large Dresden wings, each measuring 2-3/4" wide at the top by 2" tall. Light blue foil on both sides. Beautiful detail to the embossing. Made in Germany. 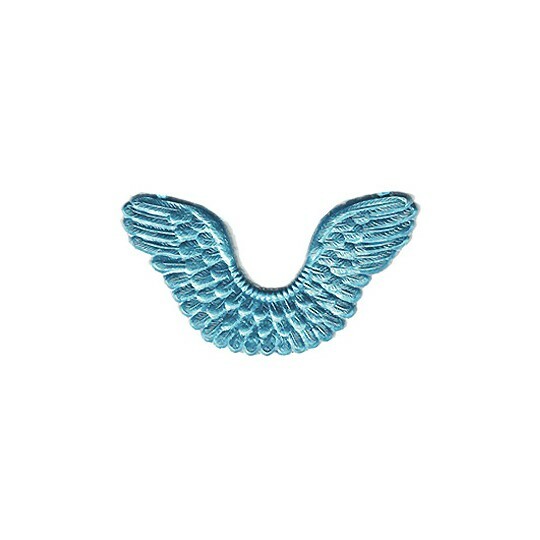 Sheet of large Dresden wings, each measuring 2-3/4" wide at the top by 2" tall. Pink foil on both sides. 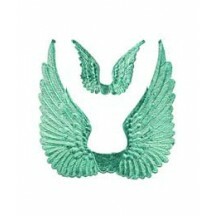 Beautiful detail to the embossing. Made in Germany. 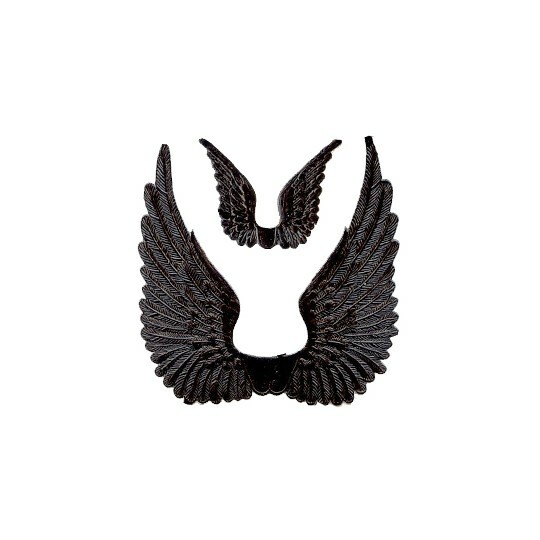 Sheet of large Dresden wings, each measuring 2-3/4" wide at the top by 2" tall. Shiny and rich silver foil on both sides. Beautiful detail to the embossing. Made in Germany. 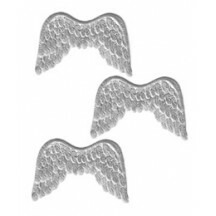 Sheet of 4 large Dresden wings, each measuring 2 1/2" x 3". Gold foil on both sides. Made in Germany.